KEEP CHECKING THIS STORY FOR UPDATES AS THIS GROUP CONTINUES THEIR HUNT! Jr took a very nice typical yesterday which is scored around a 170 class. Later that evening Mackie took a beautiful 150 class just before dark with a twenty five odd six rifle. 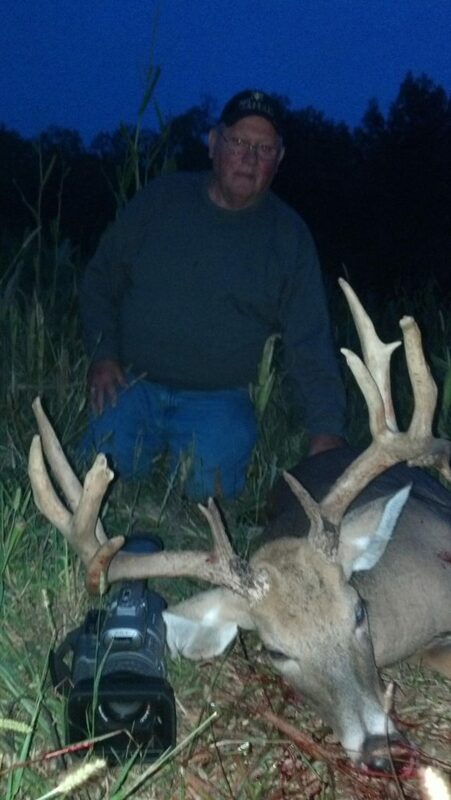 Howard also nailed a nice whitetail this same day with a rifle. 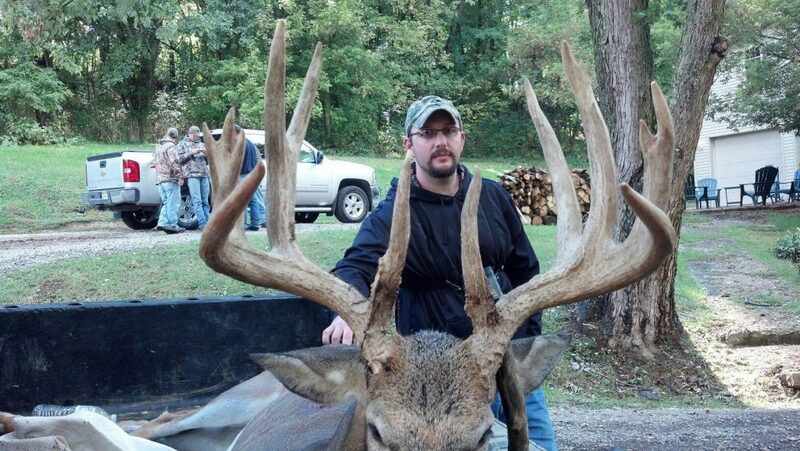 Dalton took this monster this morning in the creek bottoms at about 10:30 while hunting in heavy marshland. 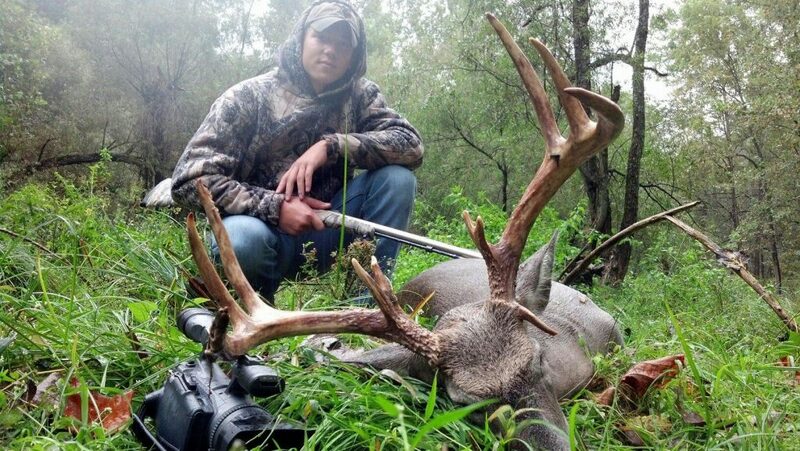 The buck was shot with a muzzleloader inbetween a rain shower. This is about a 150 class and now we are off with Joe while he is looking for a 100 plus. Wish us luck! 12:57pm – We seen some bucks but they are not mature. 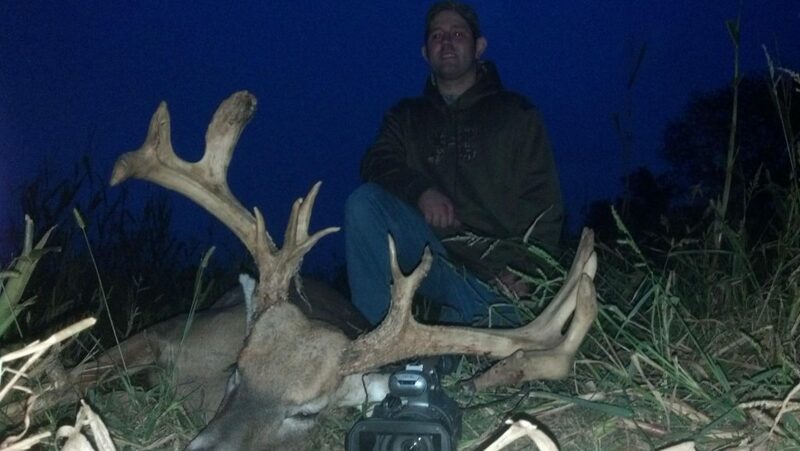 3:41pm – Joe just got his huge whitetail 25 minutes ago from one of our ground blinds. What a big typical! This monster was only sighted one other time. 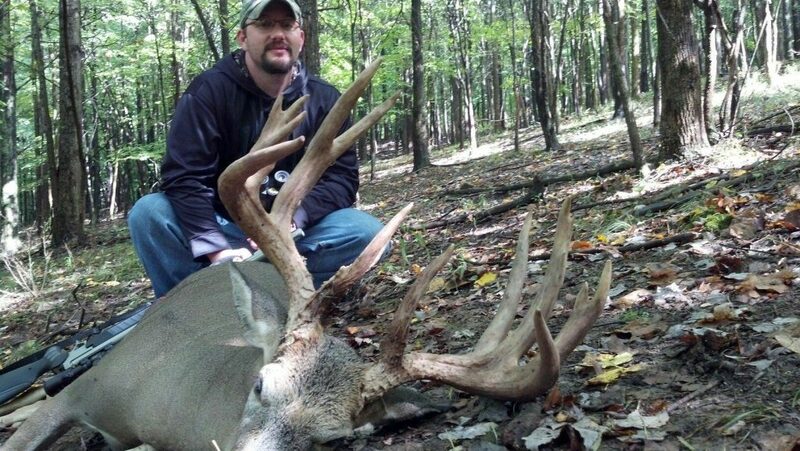 This buck is estimated at 220 typical. Wow! Thanks for wishing us luck! 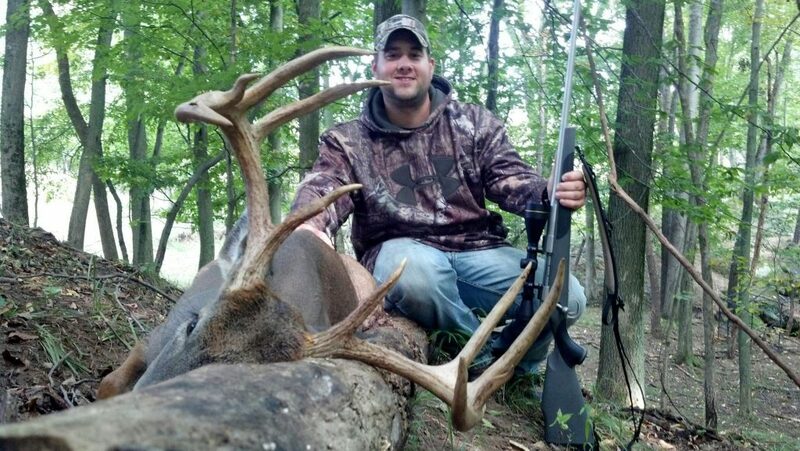 Another great picture of Joe’s 220 typical. We are spotting new bucks daily and Nicky is offering a 20% discount on 200 class bucks this week! 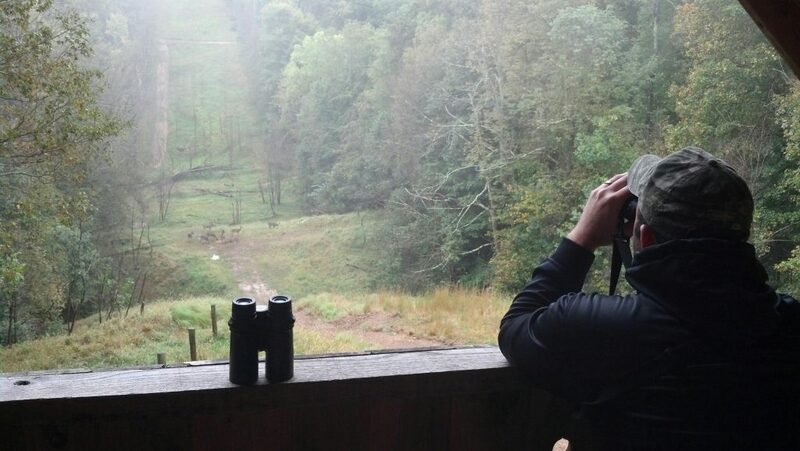 Hurry up and book your dream hunt today!